My Home Life | It’s s-NO-w problem! 2018’s heavy snow, icy roads, and school closures were the outcomes of storm Emma combined with the Beast from the East. One care home group from Derbyshire met the chilly challenge head on with fantastic outcomes. 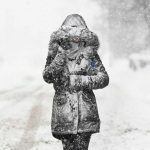 Sarah Dixon, community relations manager for Ashmere Derbyshire Ltd explained, “Local schools were closed suddenly on the Thursday, with news of their closure extending across Derbyshire to Friday. Those people with children will know, it was the week after half term and we knew that our staff would struggle to take time off and get family cover at such short notice”. Ensuring there was enough staff for each shift was going to be tough, carers were struggling to get into work because they had no child care. Sarah thought on her feet and came up with a fantastic solution, “We simply offered staff the opportunity to bring their children to work”. Ashmere’s quick and creative thinking provided carers with a fantastic solution to their child care problems, allowing them to relax into their day’s work. 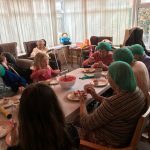 Christine Blacknell Dementia Services Manager said, “It was a great idea to invite our carers children into our homes, especially at a time of need for our staff. Both the residents and children all benefited from the days interactions”. 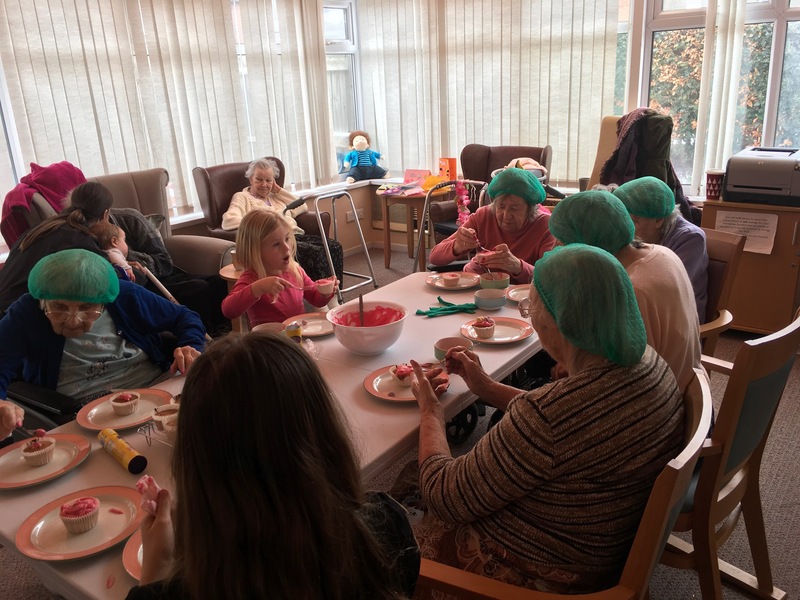 Eileen, aged 82 is a resident at West Hallam Care Home, she shared her delight at spending time with her surprise visitors, “The children were brilliant, very well behaved and we made some lovely cakes, I enjoyed decorating cakes with the children. I made 3 cakes, one for my Son, one for my Daughter and one for my Granddaughter. I asked the children if they would come again to which they replied, yes”! The day was hailed such a success, that Ashmere are developing plans for more frequent intergenerational contact for their residents. Ashmere through their quick thinking avoided catastrophe and created a fun, stress free working environment for all involved, well done! 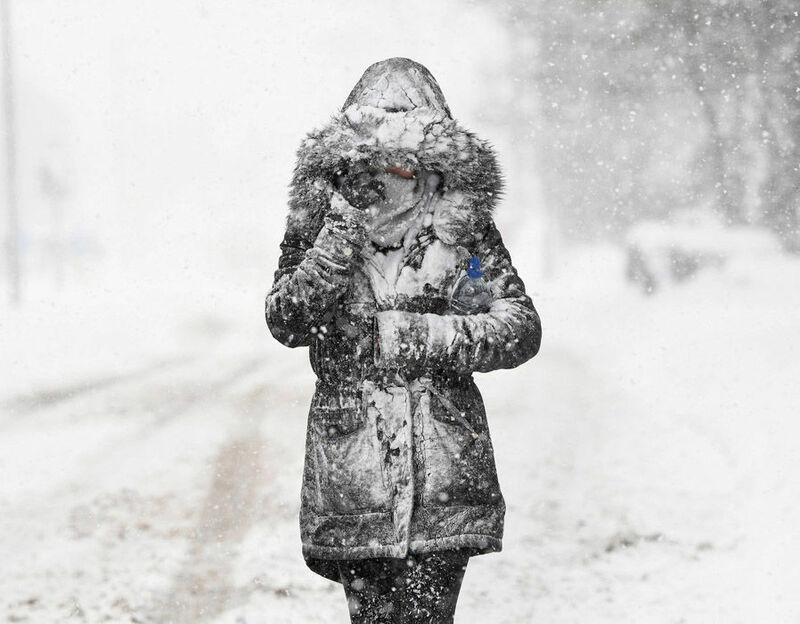 Last week, health care staff across the UK were rightly celebrated nationally for braving the snow and ice to ensure all patients got access to the health care services they needed. Yet, My Home Life noticed little fuss was made about the thousands of carers who made the treacherous journeys into work to get to the people they support, therefore we’d like to say thank you for your dedication, it doesn’t go unnoticed. Many thank you to Ashmere Derbyshire Ltd for creating this blog and providing the photography.